Do you ever have those days where you are just in the mood to spend money? Yea, well try dealing with that for a month! So far this month, I have just been in the mood to spend my hard-earned money on frivolous beauty buys. Someone save me! The above Lust List are filled with items I haven't quite pulled the trigger on, but boy oh boy am I suuuuper close to purchasing it. I figured I would share these items with you to see if you guys had any opinions on the products. Worth it or not worth it? Let me know in the comments, and let me know what's on your lust list! I want to try #10! There are so many lovely products! The CT blushes are definitely up there for me as well. 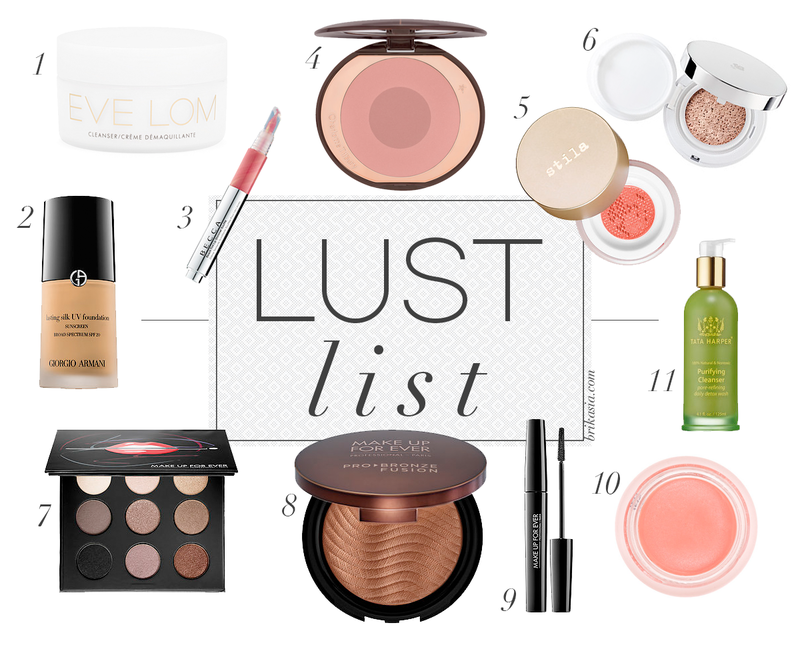 What a wonderful lust list! I have the Eve Lom Cleanser and it is the mother of all makeup removers. I'm just going to cut paste this and make it a wishlist. Wants them all. The Tata Harper and Eve Lom cleansers are definitely worth it!